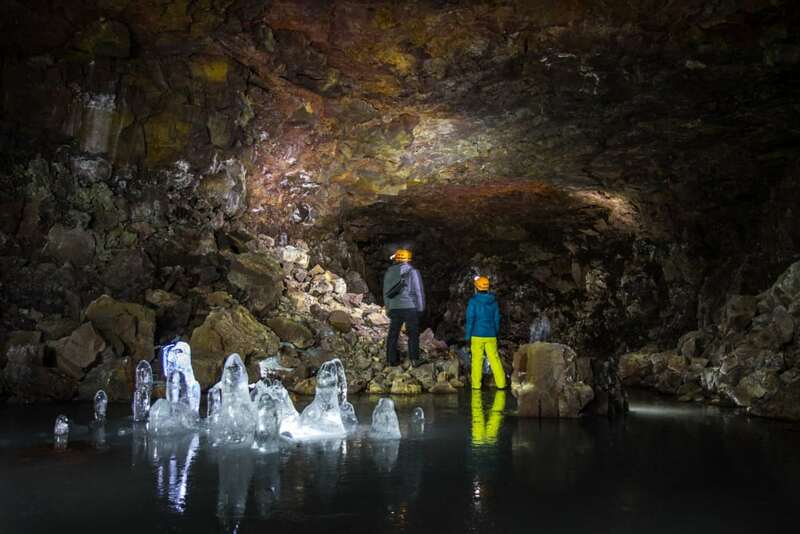 The 3500-year-old lava cave is a world of ice and darkness, located in the northeastern part of Iceland near Lake Myvatn. 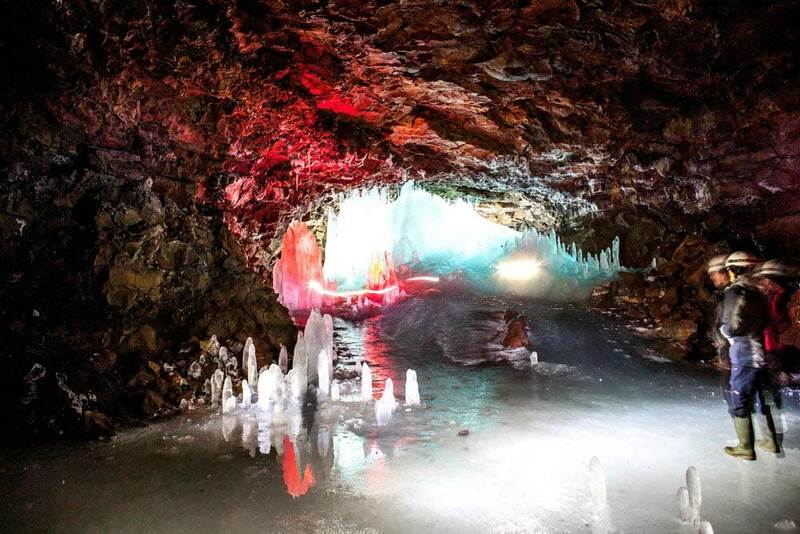 This incredible tour will take you on a subterranean adventure to the icy depths of the Lofthellir Ice Cave, renowned for its many amazing ice sculptures gorgeous and vibrant colors that have led it to be considered the most beautiful in all of Iceland. 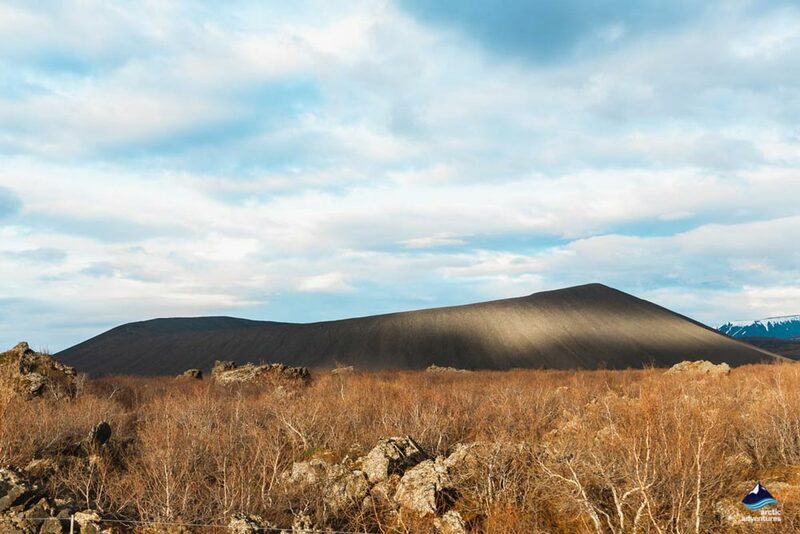 That coupled with the visit to the iconic Goðafoss Waterfall (Waterfall of the Gods) and the glorious landscape that surrounds Lake Mývatn, ensures that it is an awe-inspiring experience that all visitors are sure to enjoy. 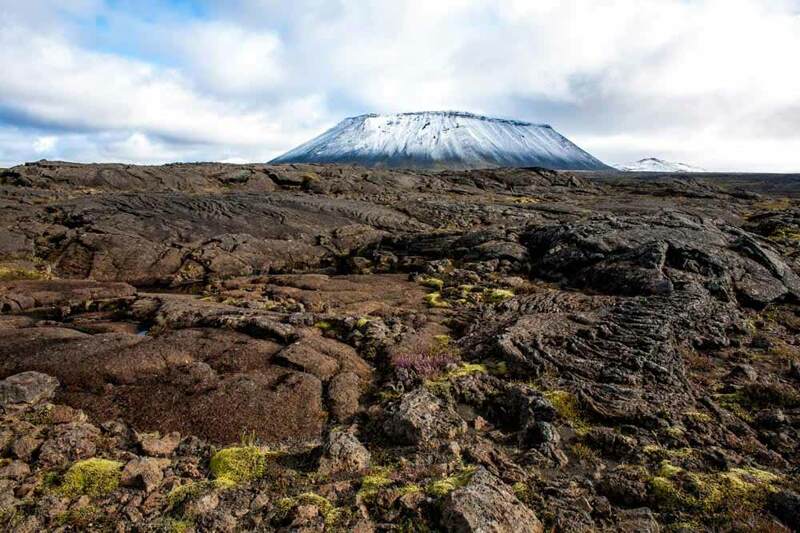 If you want to see some of the defining features of the land of fire and ice, then this may just be the tour for you! Suitable for those in good condition. 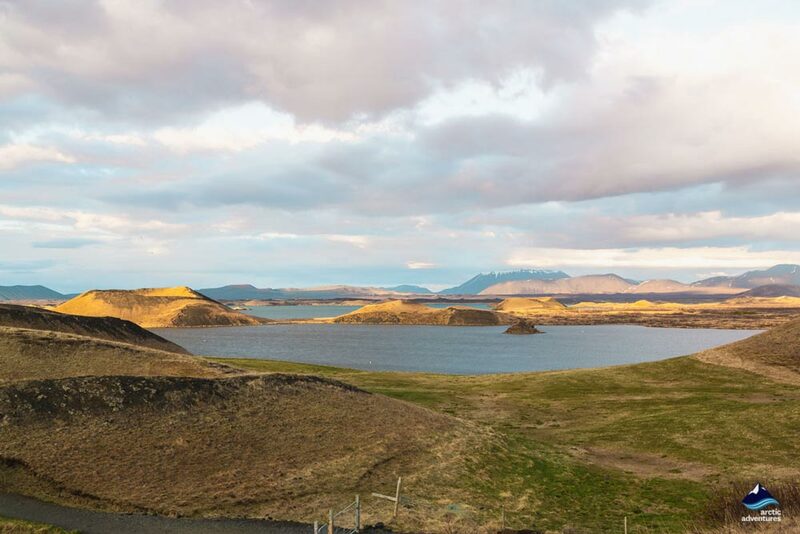 Our adventure begins when we collect you from Akureyri and make the scenic drive to Lake Mývatn, a stunning geothermal lake that has been used as a set on HBO’s iconic Game of Thrones Series. We will stop off at the Goðafoss Waterfall (waterfall of the gods) along the way, which gets its name from an event in around 1000 AD, when the Lawspeaker of the Icelandic parliament cast his pagan idols into its violent cascade and converted to Christianity. This combined with it wide cascade, which tumbles over a volcanic cliff face into the river below, makes it a sublime waterfall that everyone is sure to appreciate. Our friendly guide will tell us all about its fascinating story and show us the best place to snap a picture before we continue our journey to Lake Mývatn. 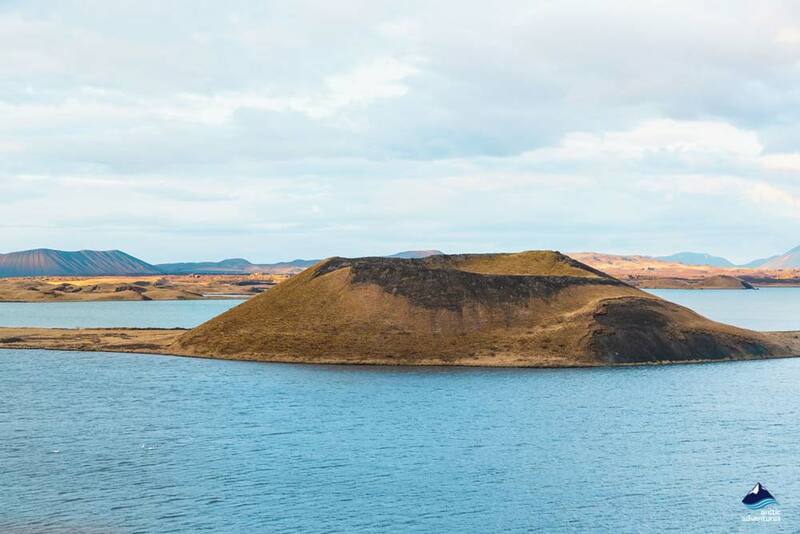 Once we arrive at Lake Mývatn you are sure to be impressed by its beauty: a sapphire blue volcanic lake, dotted with luscious green islands and set in a rugged volcanic landscape. 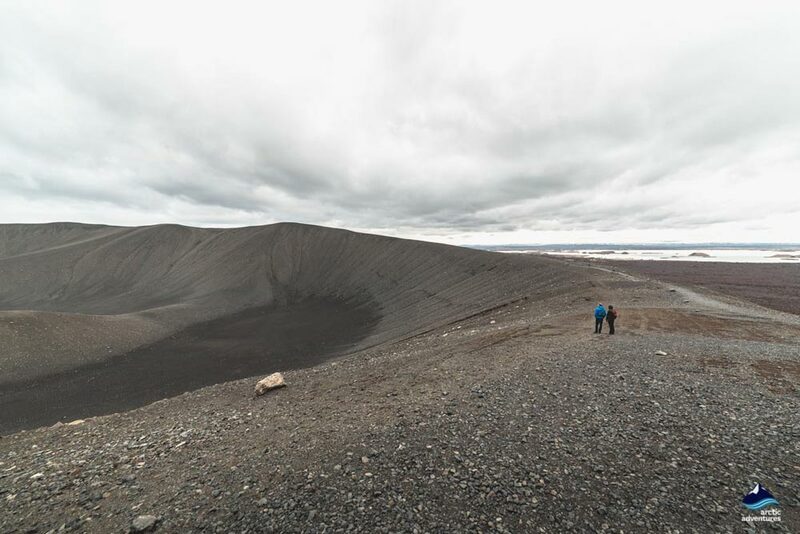 From there we will proceed along a mountain track past the one-of-a-kind Hverfjall Volcano and pass the Lúdentsborgir Crater that was hewn into the earth by its vicious rage, where we will pause for a stunning vista over the lake. By then we will be nearing the foothills of Mt. Hvannfell, where we will get out of the jeep and make a short 20/30-minute hike across a stunning lava field to the iconic Lofthellir Ice Cave and descend into an underground world replete with mesmerizing ice sculptures and vibrant colors that will make the hairs on the back of your neck stand on end. As we begin our descent into this natural wonder, the surroundings will start to change, and we will suddenly see awe-inspiring icicles that have formed over thousands of years. They have been formed by water dripping down the cave and then freezing, creating a sublime effect that will leave you breathless. 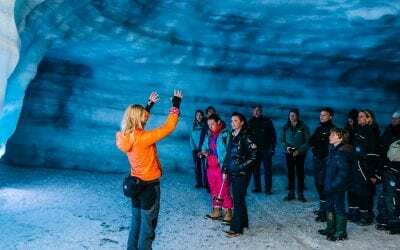 Each tour is limited to just 10 people, ensuring that you can enjoy all the magic that this spectacular ice cave has to offer in all of its profound beauty. The multicolored rock that lies behind the ice sculptures dyes them vibrant shades of purple, pink, green and blue, meaning that they glint like gems crafted by the world’s finest architect. We will spend an hour in this subterranean wonder, before heading back to the surface after a day filled with some of the most beautiful things that you have ever seen. Lake Myvatn meeting point: Tourist Information Center. Please show up at least 15 minutes before departure. See available departure times in the booking engine. Bring with you: Warm and waterproof clothing, gloves, good walking shoes, water bottle. Not included: Meals / refreshments. Difficulty: This tour is not suitable for young children, people with claustrophobia or people that are not in reasonable physical condition. 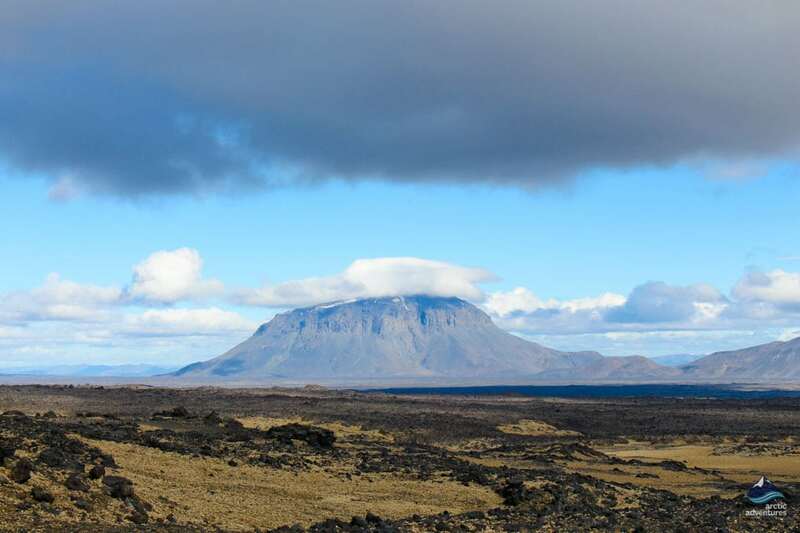 To reach the cave is a 30 minute hike across a relatively smooth lava field. The short entry (approx. 1,5m) into the cave is narrow and guests need to crawl on all fours to enter. Does the ice cave always look exactly the same? Ice caves are ever-changing natural phenomena that are only accessible during winter when the temperature drops well below zero, so the water from the rivers that run underneath the glacier freezes and leaves us with this phenomena to explore. Each year, new caves are formed in different locations. 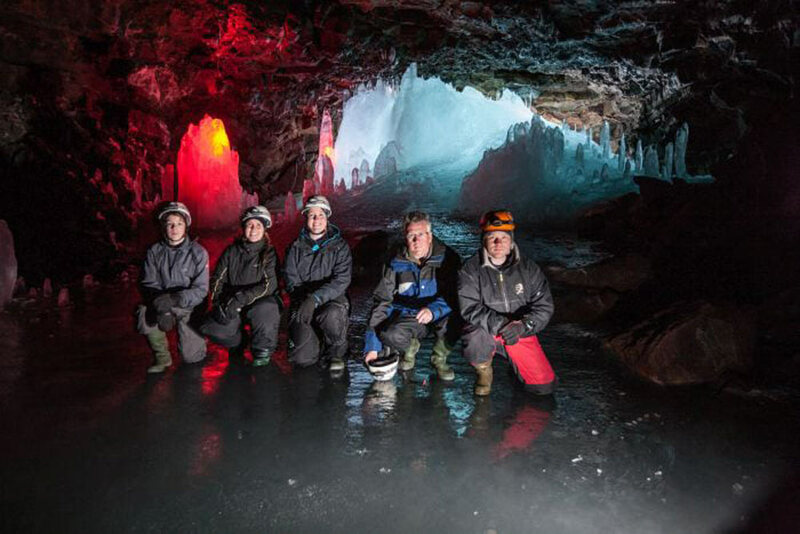 We will visit the best available naturally formed ice cave during this tour and the cave we visit is chosen based on conditions and safety each time. What should I wear on our glacier trip in Iceland? Iceland is known for colourful weather. It can sometimes show you all 4 seasons in one day. Dressing for this sort of weather can be a challenge so we always recommend dressing in layers. 3 or 4 upper layers are highly recommended such as a light t-shirt (preferably wool) next to the skin, then a fleece or heavy wool garment, topped off with a waterproof windbreaker. Jeans are not recommended for our trips as they become very heavy, cold and uncomfortable to wear when they get wet. Lightweight hiking pants, track pants or long cotton pants are best and then wind/waterproof pants over. We also recommend using sunglasses and sunscreen even if it is cloudy due to the high UV and sunlight reflecting off of the glacier. You will need sturdy hiking boots that fit crampons for the glacier hiking tours. If you do not own a pair then we rent out good hiking boots as well as a waterproof raincoat and trousers. 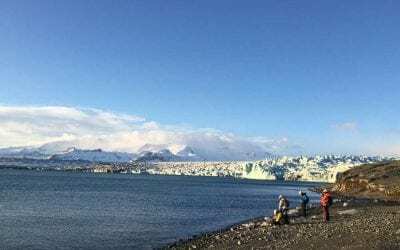 Do I need to bring a backpack on a glacier trip in Iceland? We recommend bringing your own backpack on our full day or 1/2 day tours. It’s great to carry a small lunch and some extra clothing. Can I bring my camera along on an ice cave tour? You can bring your camera along, and you should definitely bring one since the setting on the tour is full of amazing, scenic views. I am pregnant, can I still join a glacier hike? This is, of course, a personal choice, we have often had pregnant women on our trips. We recommend you take a close look at our trip description and difficulty rating, they will hopefully give you a better idea. It is also good to contact your physician, pregnant women’s health can be quite different. Feel free to contact us if you have further questions or concerns. 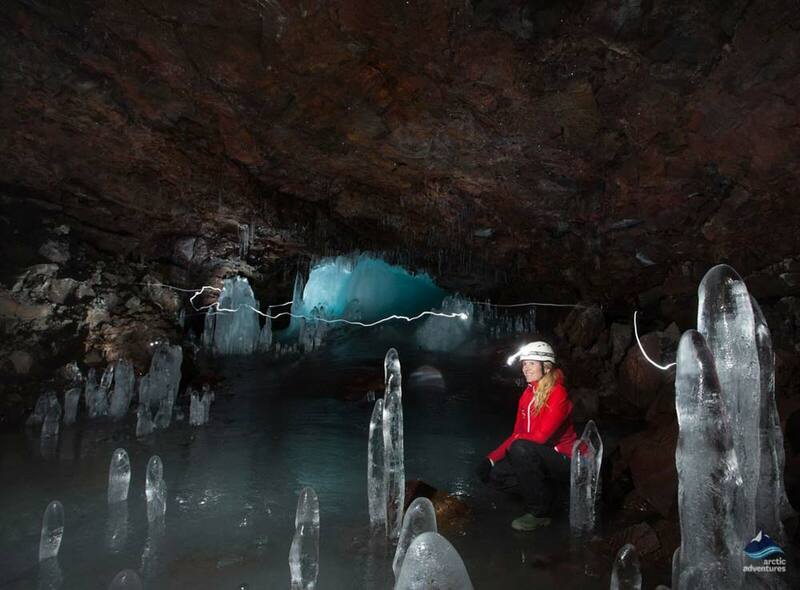 Do I need to bring a lunch with me on the ice cave tours? We do not provide lunch on any of our trips, so we recommend you bring your own lunch (for the longer trips), snacks and a bottle of water (you can refill it on the trip). Crampons are metal spikes that we attach to the soles of your hiking shoes, these enable you to walk on the glacier ice without slipping. 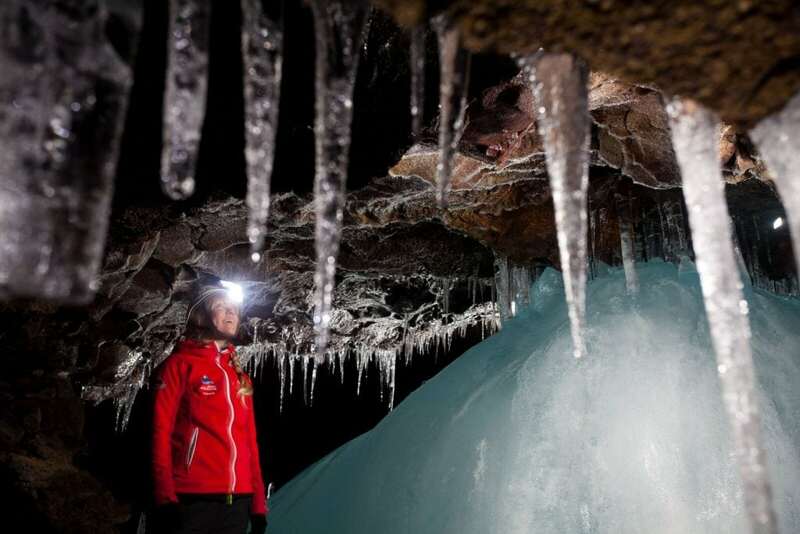 Is there a guide on each Arctic Adventures ice cave tour? 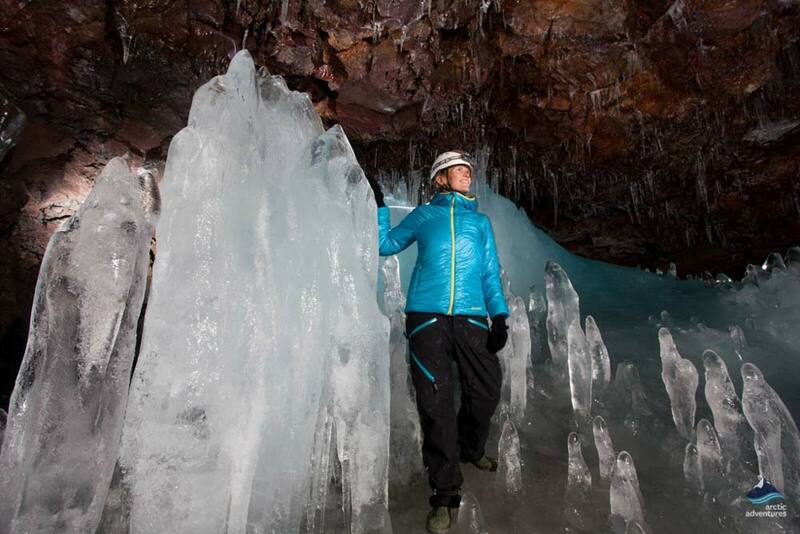 Yes, there is a specially trained and certified glacier guide on every ice cave tour that we offer. Where can I find more information about Ice Caves? The Ice Caves in Iceland are truly magical. If you want to learn more about them this information page on Ice Caves will be a great help. 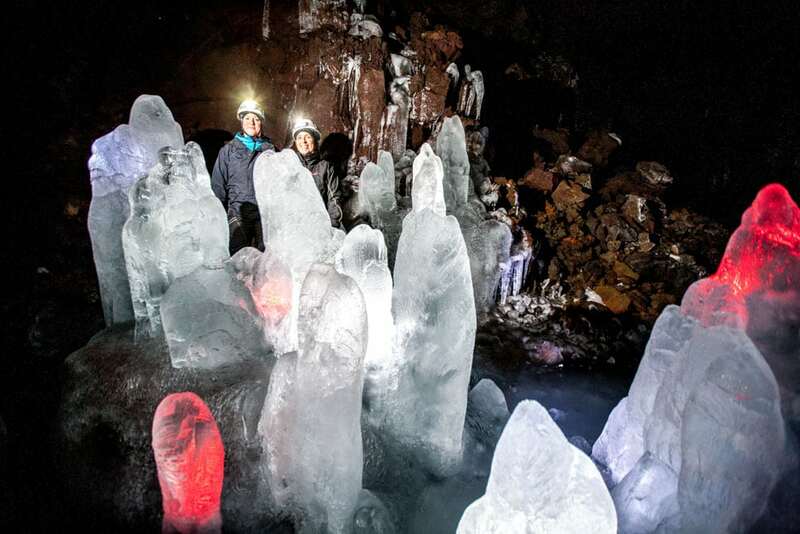 Katla Volcano and Myrdalsjokull glacier combined their forces and made the most amazing ice cave! 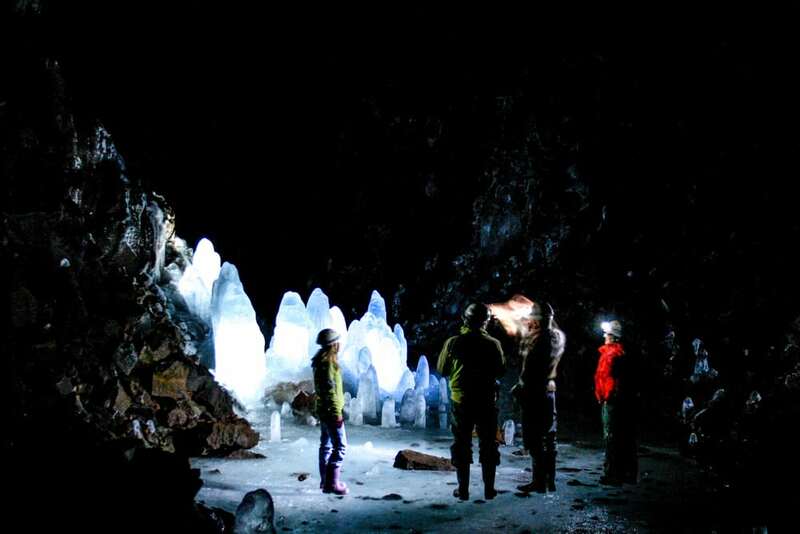 Step into a man-made ice cave in Langjokull Glacier. 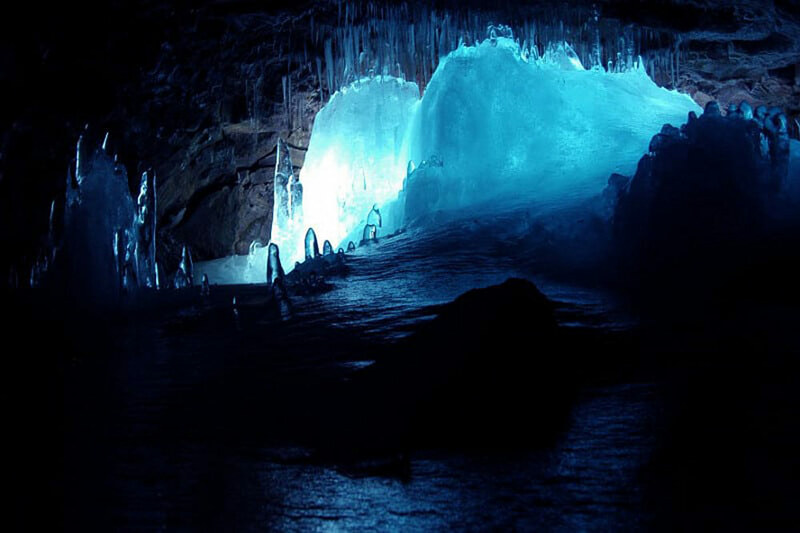 This journey takes you on a guided tour in a monster truck to the entrance of the ice cave. 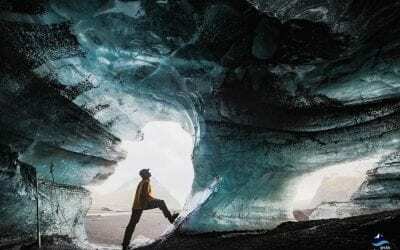 This is a once in a lifetime opportunity to walk inside Iceland's second largest glacier! Hiking and ice caving adventure on Breiðamerkurjökull glacier, an outlet glacier of Vatnajökull, the largest glacier in Europe. This tour offers a challenging 1-1.5 hour hike on the glacier.